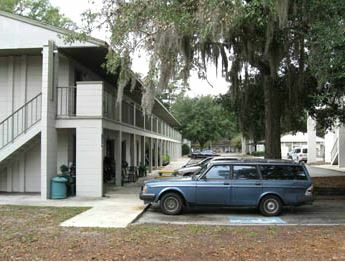 Oak Ridge Apartments offer spacious 1 and 2-bedroom apartments near shopping and dining options near the northwest edge of the University of Florida campus in Gainesville, Florida. 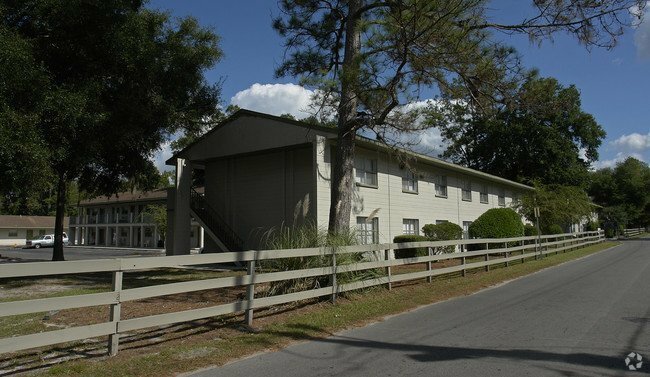 Students looking to live off of the University of Florida campus and away from the campus noise and traffic will love living at Oak Ridge Apartments. This quiet community is best for students with cars because while public transportation is available, it can take over an hour to reach campus. An 11-minute drive will get students to the Ben Hill Griffin Stadium, so they can watch the Gators in action. Those with classes at Tigert Hall will enjoy being able to arrive there in 8 minutes by car. The University of Florida College of Medicine at the far southern edge of campus is accessible in just a 14-minute drive, which makes Oak Ridge Apartments a convenient choice for students with classes anywhere on campus. 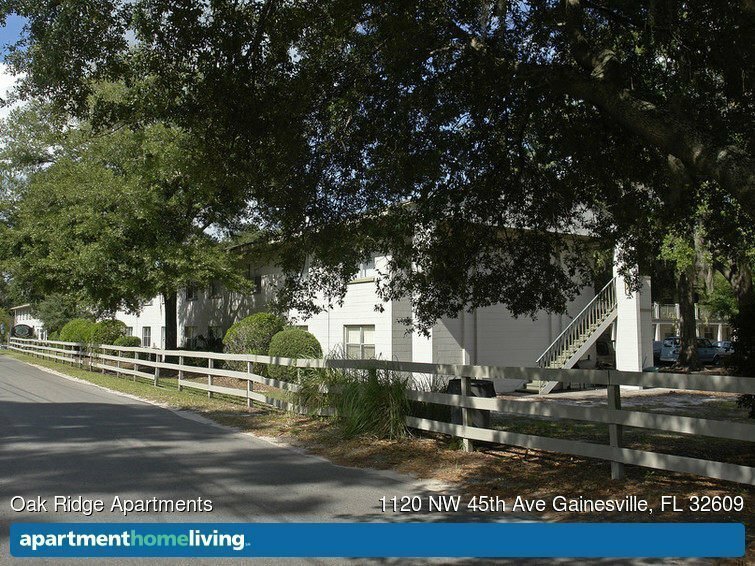 Shoppers will love Oak Ridge Apartments’ convenient access to the Gainesville Plaza. This shopping center is just a 4-minute drive from the community and hosts a wide range of retail options. Residents can shop for a new look without breaking their budget at Ross Dress for Less, or they can give their new home a makeover with discount furnishings and decor at Big Lots. Gamers can pre-order the latest and greatest games at GameStop. Residents with pets will be able to spoil their furry friends at the Pet Supermarket in Gainesville Plaza as well. Dining options are plentiful for those living at Oak Ridge Apartments. For casual, quick dining, residents can visit Hogan’s Great Sandwiches or Chipotle. Barbecue lovers can take advantage of Adam’s Ribs as well. All of these options are just a 4-minute drive away. When residents want their food delivered to them, a Hungry Howie’s Pizza is within the delivery distance from the community. 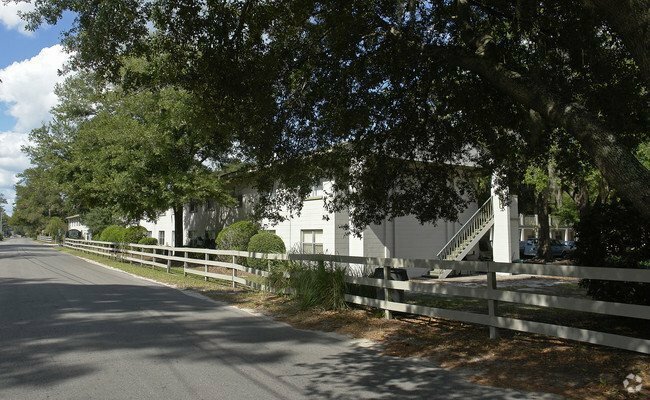 Nature lovers living at Oak Ridge Apartments can walk 7 minutes or drive and arrive in just a minute and arrive at Hogtown Creek Park. Once there, they can hike through the 70 acres of mixed forest and wetlands, or challenge their friends to a game of tennis or volleyball at the park’s many sports courts. Oak Ridge Apartments also offer residents a number of amenities to make them feel right at home. Residents can enjoy a relaxing swim in the community pool, or they can host a gathering on the sundeck and grill. The community is smoke-free and offers high-speed internet connections for residents’ convenience. With its close proximity to campus and numerous amenities, residents will love living at Oak Ridge Apartments.